Wow, lots to share with you for a lazy Sunday. Yesterday we all attended a baby shower for some friends expecting their first baby - a girl! I bought a few registry items, but wanted to make something handmade, too. I decided a storage bin might be useful to hold some baby supplies. I used my basic Fussy Foldover Basket tutorial on a larger scale and added handles. 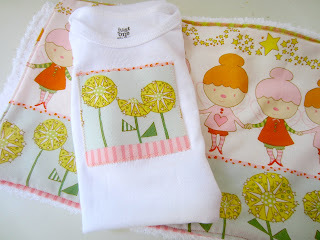 I love this fairy fabric from Alexander Henry, it was so fun to fussy cut with it. Love that row of stars I used for the handles. I lined it with Pearl Bracelet in Light Pink from Lizzy House. Due to its large size (about 10" square), it was a little floppier, despite using fusible fleece. I made it sturdier by sewing pin tucks on all the sides and around the bottom. I made a burp cloth and appliqued onesie to tuck inside. How sweet are those little fairies? 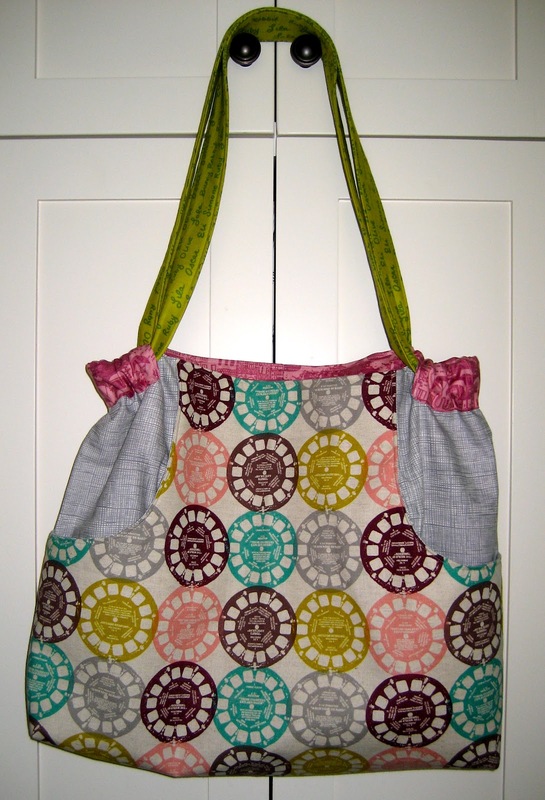 I think I finally found a project worthy of my Anna Maria Horner Voiles. A pattern by Anna Maria herself - the Patchwork Prism. 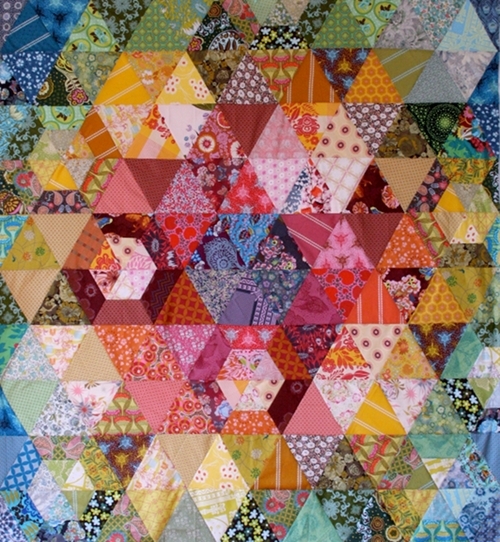 My friend from Charlotte Modern Quilt Guild, Bianca is hosting a Patchwork Prism Quilt-a-long on her blog, Sweet Diesel Designs (which you should check out, if you aren't already!). Aside from the awesome project, there are some amazing prizes up for grabs, too! 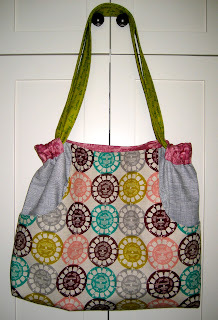 Finally, my Multi-Tasker Tote - how much Anna Maria Horner goodness can we fit in one post? - was chosen as a Feature on Threading My Way. Thanks so much, Pam! And you are temping me into another QAL! I've been experimenting with fabric baskets, and I LOVE your idea of using the pintucks to help it stand better. Thanks! Totally stealing that idea!